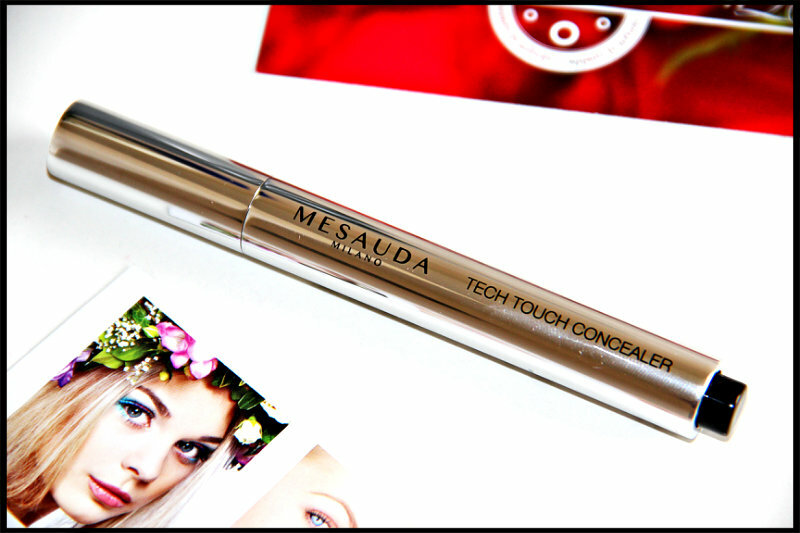 Today I am reviewing Mesauda Milano Tech Touch Concealer Pen £10.95 (Light Beige, Ref.152202) which I have been sent to review on my blog. Tech Touch Concealer Pen available in 3 different shades (Natural Rose, Light Beige and Medium Beige). 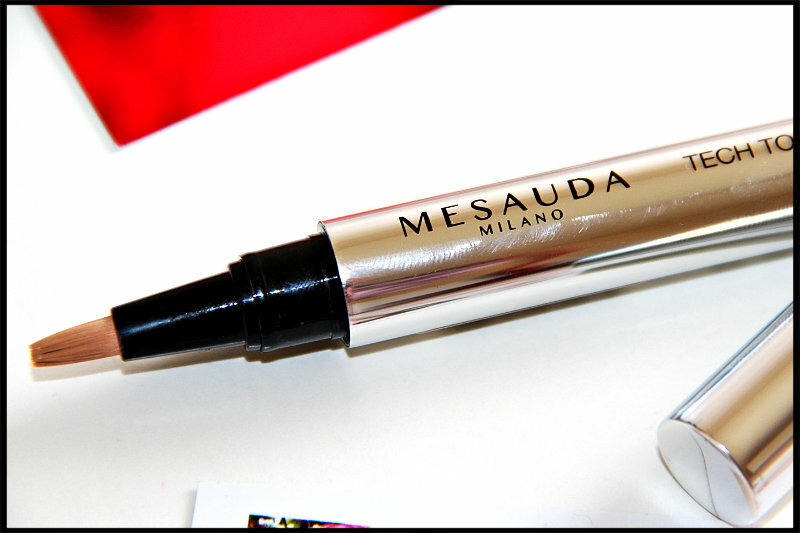 In my previous post I have reviewed Mesauda Milano Liquid Concealer which you can find here. Tech Touch Concealer is a brightening concealer pen with an ultra-fluid and moisturizing formula to provide every woman with a radiant and well- rested skin! This concealer is infused with white tea extracts which keeps your skin looking younger and protects from any damage. This antioxidants reduce oxidative stress to the skin and also helps to reduce any uneven pigmentation. Tech Touch Concealer is a multi-tasking concealer suitable for sculpting and brightening on the sides of the nose, cheeks and lips contour. It is free from Gluten, Paraben, OGM and Lactose. How gorgeous is the packaging of this concealer. It looks so rich, classy and professional. The YSL Touche Concealer Pen also have same packaging but in gold colour. Just fan of packaging like this. Simply Gorgeous! This concealer comes in a pen brush like packaging which I find very easy to use. To get the product simply click black button at the bottom for couple of time and you get the right amount of product to apply. The cap shuts tightly and will not come off in your bag thus it is travel friendly. The texture is just perfect not too thick not too runny. It blends like a dream and gives a light to full coverage. It blends easily with fingertips, brush or blender. I find that if I use Tech Touch Concealer I don’t have to use foundation under my eye areas. Generally I first apply foundation all over my face then concealer. This concealer brightens up my darker area and make them look even. It keeps my under eye area well moisturized and don’t see any dry patches over there after application and even after long worn. It does not get cakey at all and also does not settle into fine lines. I like to set my concealer with compact powder so it lasts even longer and prevents from creasing. The formula is really rich but does not make my eye or other area oily. I use this concealer on my centre forehead, side of nose, cupid bow of lips and chin to brighten them up. This concealer is only available in 3 shades, I wish this was available in more shades. Light Beige shade is good for my medium skin tone. This concealer has good pigmentation. It takes very little to cover dark under eye circles. I get lasting coverage that doesn’t seem to migrate into creasy areas. It glides on smoothly and blends in seamlessly as the hint of colour erases the look of dark shadows, discoloration, small scars or blemishes. This concealer is a perfect for touch ups or on the go, this beyond user-friendly concealer will work on all skin types of every age. Again I am in love with this Mesauda Concealer too. Just perfect! I highly recommend this concealer to anyone and give it a go. I am sure you would like it too. 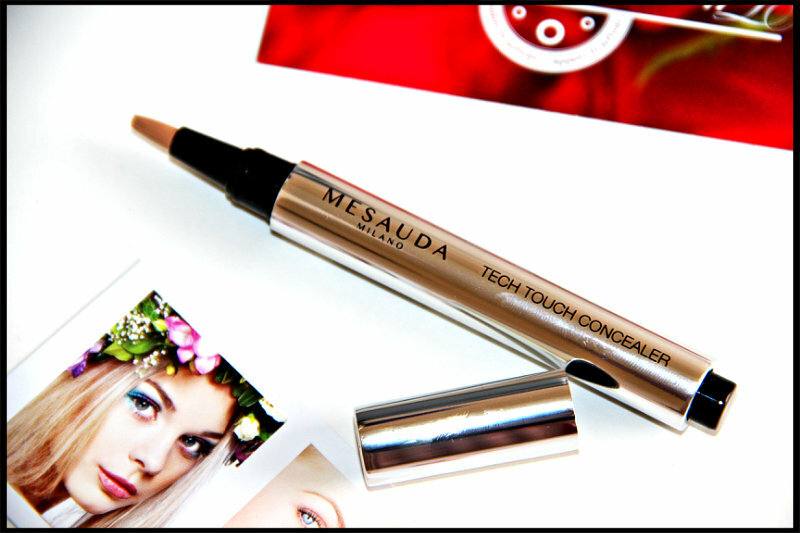 So what do you think about Mesauda Milano Tech Touch Concealer Pen? Do you like your concealer in stick, wand or pen form? 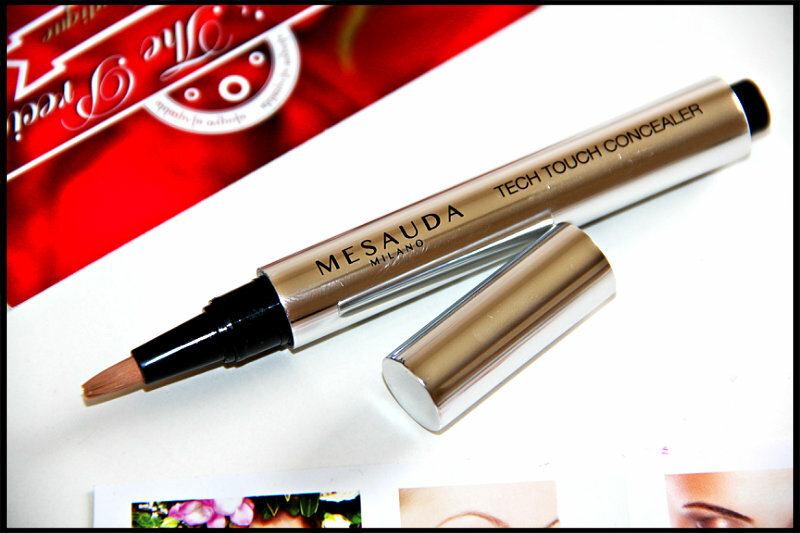 You can buy Mesauda Milano Tech Touch Concealer Pen from here. Hello Beauties! I have not posted anything since last 2-3 days as I am on vacation and while leaving home I thought I will get enough time for blogging but sadly No! Leaving hotel in the morning and then come back to hotel in night after roaming around in and out city, and feel so tired by end of the day. 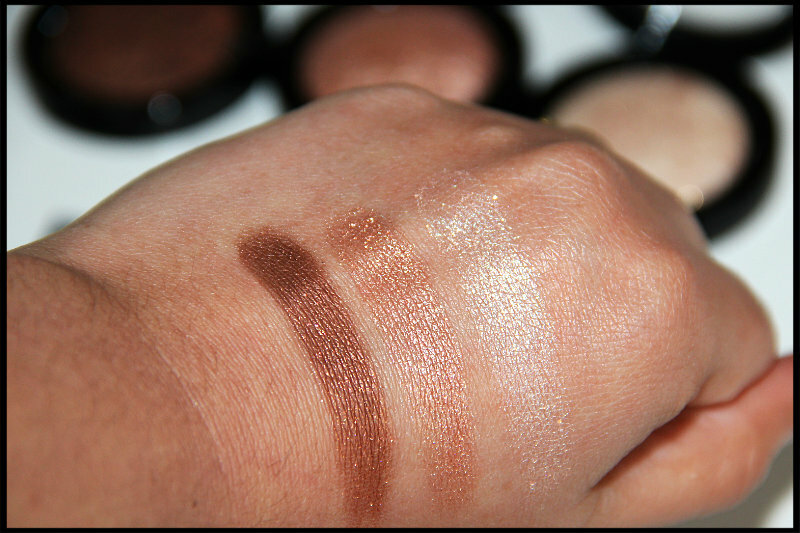 Finally today got some time to post blog.Today I am going to review Mesauda Milano Cosmetics Earth Spirits Baked Eyeshadows (£9.95) which I have been sent very kindly to review on my blog. I have selected 3 shades to review – Tigers eye(Ref 02), Amber(Ref 06) and Agate(Ref 03). There are total 12 different shades available in this range. These eyeshadows can be used dry for a luminous and transparent effect, or with a slightly wet brush to have a more covering and long-lasting makeup. These eyeshadows are luminous and light in application it assures a pleasant make-up, releasing a thin and comfortable film on the skin. They are mineral oil free and infused with Vitamin E acetate and Jojoba Oil. The black packaging of these eyeshadows are gorgeous and very professional looking. It is sleek and simple. 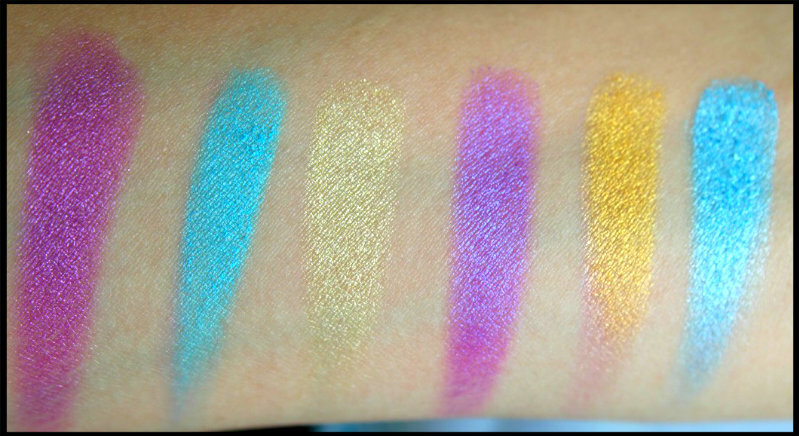 When I opened the lid of the eyeshadows, they look really pigmented and when I swatched, they turned out to be just that. 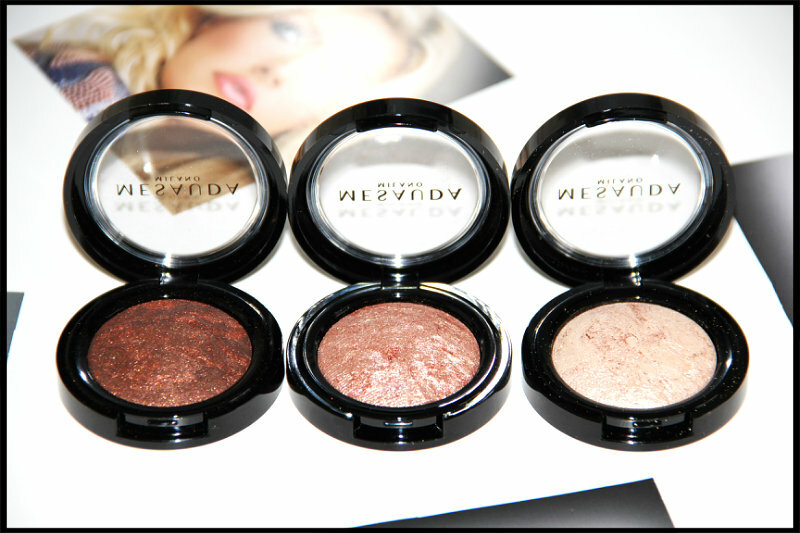 All of the three eyeshadows are so gorgeous and beautiful bronzy/coppery shades. 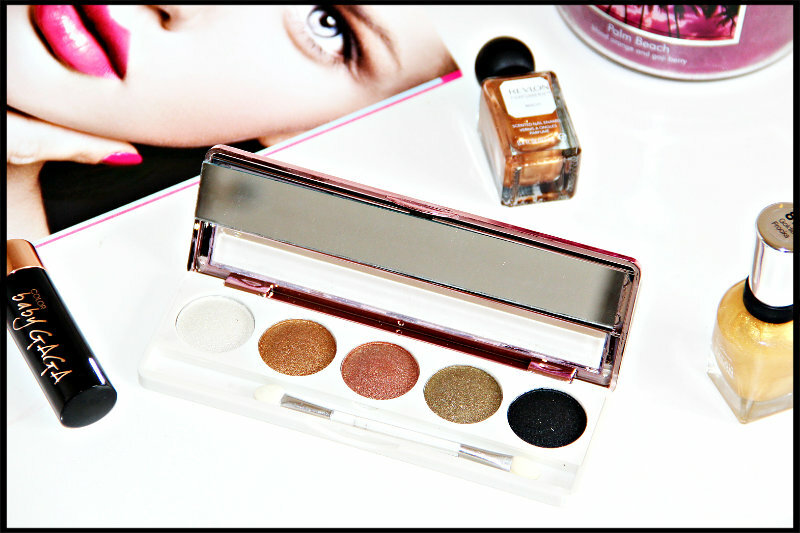 These eyeshadows are really soft to touch and have amazing colour payoff. They are not patchy or powdery at all. Shimmers in it are not chunky. These eyeshadows have subtle shine in it and easily applied to eyes with dry or damp brush and even you can work with finger to apply them. There is minimal fallout during application. 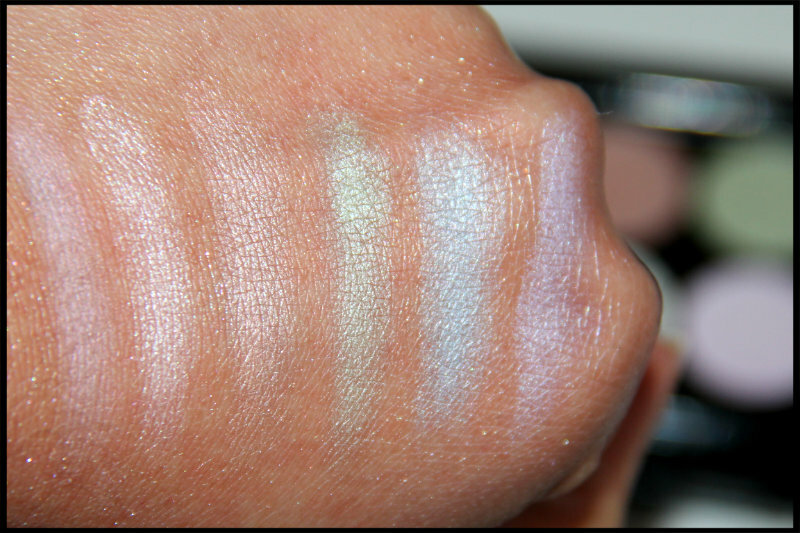 In swatch all the eyeshadows applied dry and look much pigmented. 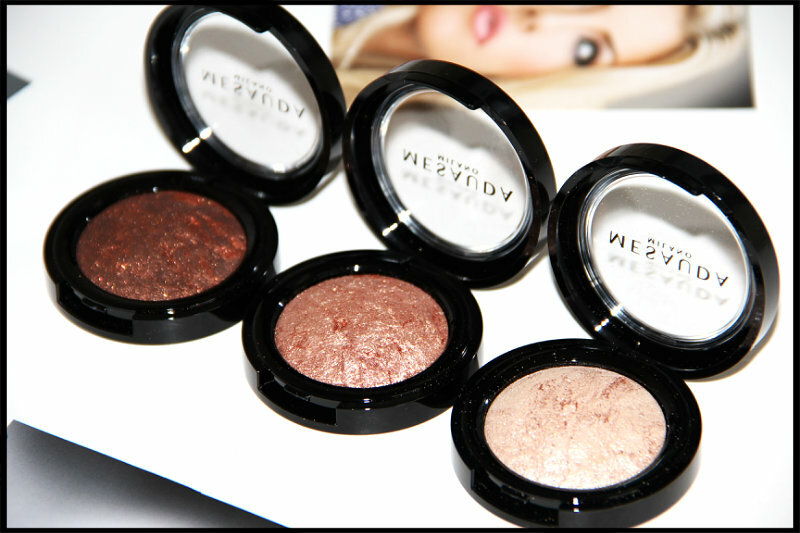 These eyeshadows can also be applied with wet applicator for a metallic effect and a more pronounced explosive look. The texture is not dusty, it is soft and this allows to manage the product with ease. They are very easy to blend. If you apply this type of eyeshadow on a base, it looks more intense. I found them excellent quality and very functional. Agate shade is so gorgeous, it is like pearl beige with golden veins and it gives nice shimmery effect. And I am going to use this lot in summer. Amber is shimmery copper shade and would look more beautiful on warm skin tones. 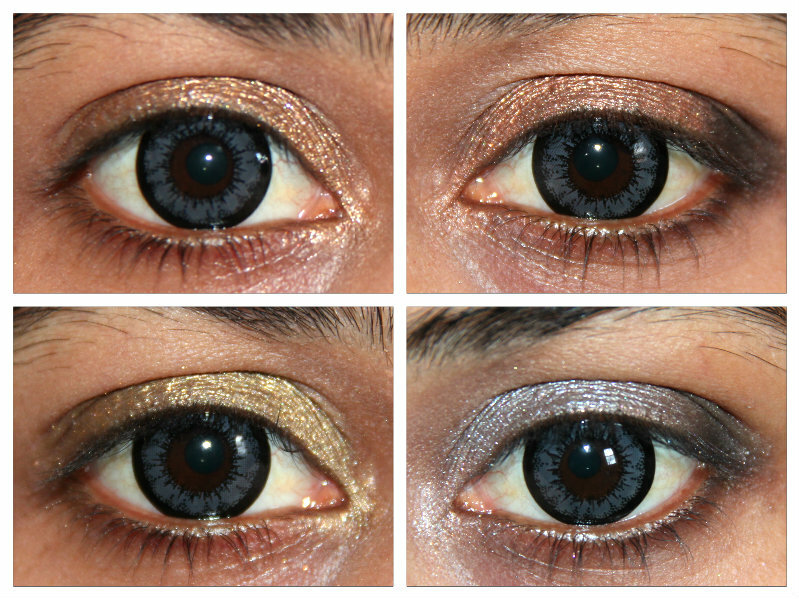 Tigers eye is one of my favourite shade out of all three, it is beautiful brown bronzy shade with gold glitters inside, I am going to wear it lot during Indian weddings and functions. All the shades last quite longer on eyelids without creasing and they are all decent to wear. Lovely sheen and metallic shades. I have not tried using them wet, but I think as wet they will stay much longer and the shimmers in it will not go here and there. Having tried using them as dry after 4-5 hours I see some shimmers here and there around my eyes and on cheeks so I recommend them to use as wet or with good base. Otherwise they look gorgeous on eyes and beautiful shades available in this range to try. 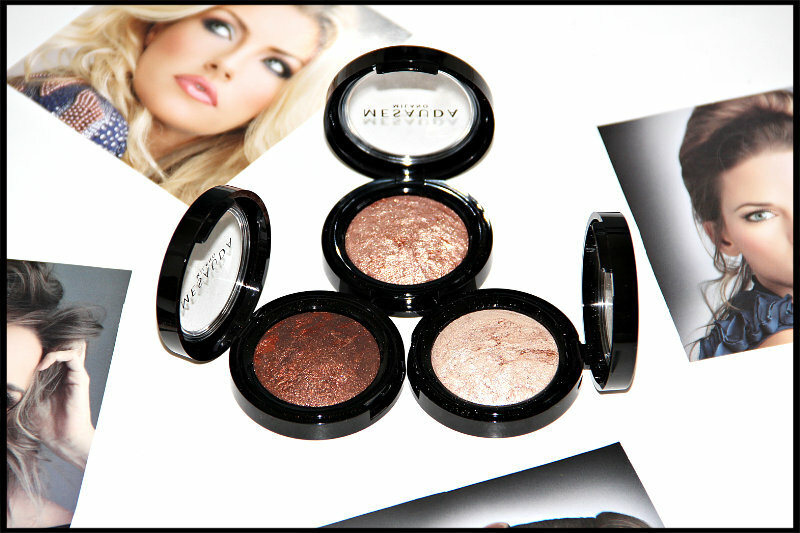 What do you think about Mesauda Milano Cosmetics Earth Spirits Baked Eyeshadows? Which is your favourite shade out of all three? Please let me know in comments. 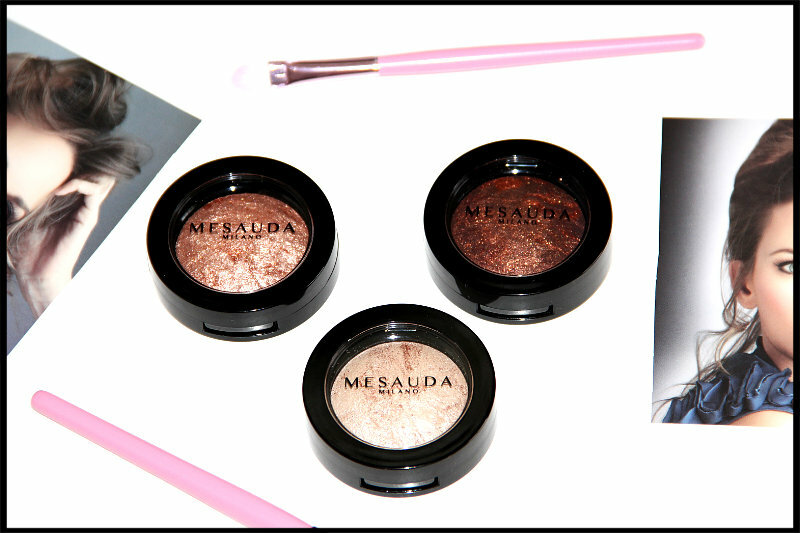 You can buy Mesauda Milano Cosmetics Earth Spirits Eyeshadows from here. 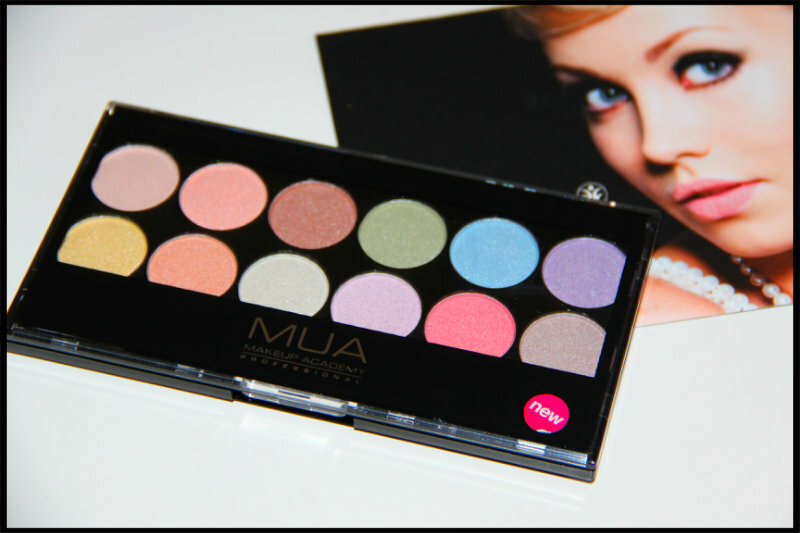 Today I am going to review MUA Pretty Pastels Eyeshadow Palette that I got during one of my makeup haul. 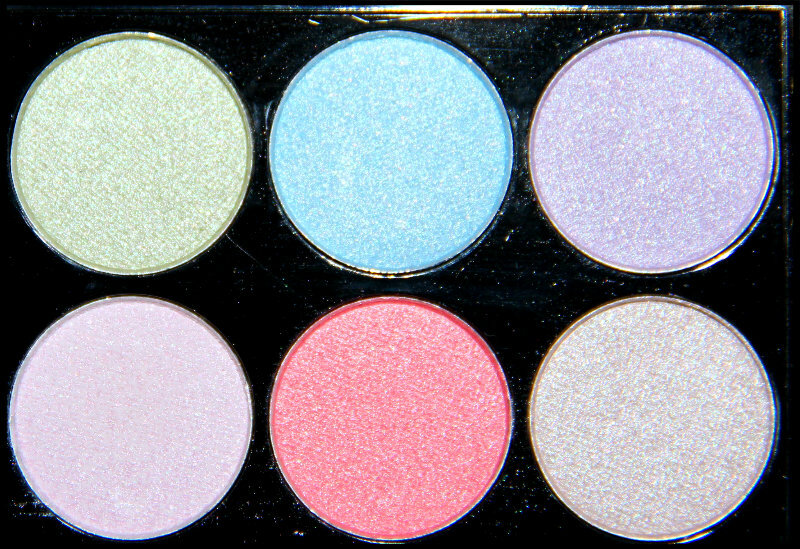 This palette contains 12 beautiful pastel shades, very delicate powder pinks, violet, blue, lime green and some neutrals. 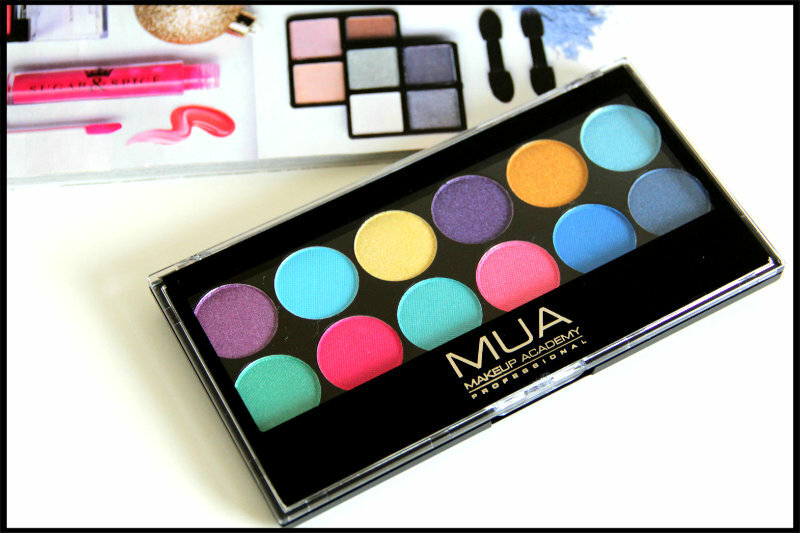 I have also reviewed some other MUA eyeshadow palettes in my previous posts. I really like MUA products, they are good in quality and very affordable. This palette comes in firm black plastic palette same like other MUA palettes with clear lid so you can see colors from top and don’t have to open and go through all the palettes when you are searching for particular colors. 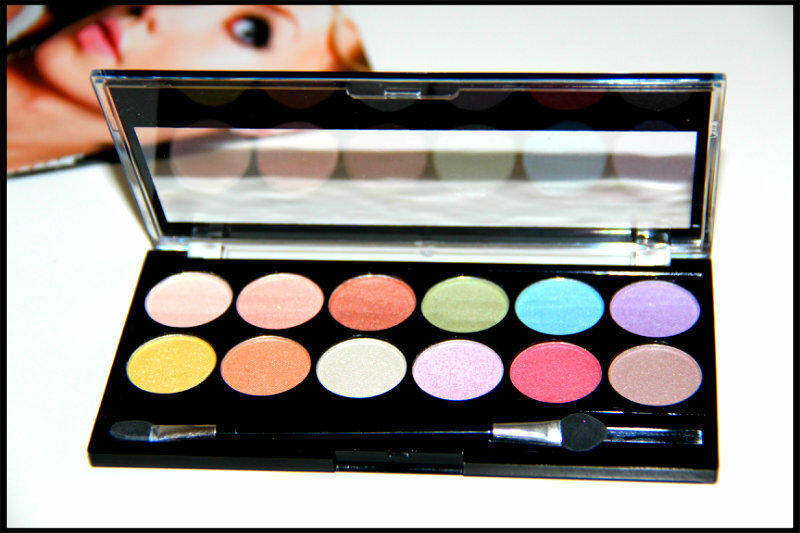 The size of this palette is nice and it is perfect to put it into your makeup bag or purse when you go somewhere. It also comes with double ended sponge applicator which I don’t prefer to use. I love the colours of this palette, this palette got pinks, lilac, yellows, greens and blues so there is plenty of variety. The colours are pigmented but does not very good pigmentation. 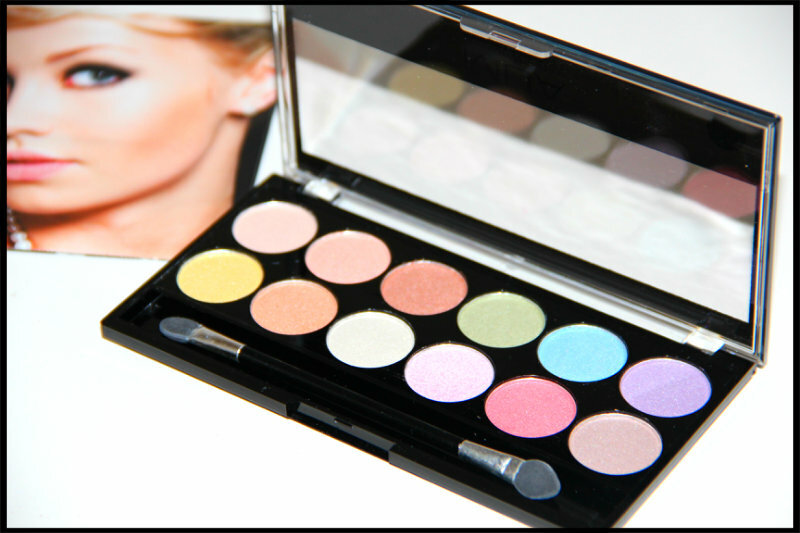 You can easily build up the eyeshadow, to get richer pigmentation. When I first had a look at this palette, I thought that it is matte, but once I swatched it, I noticed shimmers. Each shade is pretty sheer and chalky in texture which can become quite messy. All the shades blend well. To get the best results, I would recommend using a primer. Surprisingly some of the colours lasted on my eyelids for most of the day without creasing. Overall, I do like the palette, but it’s not the best. 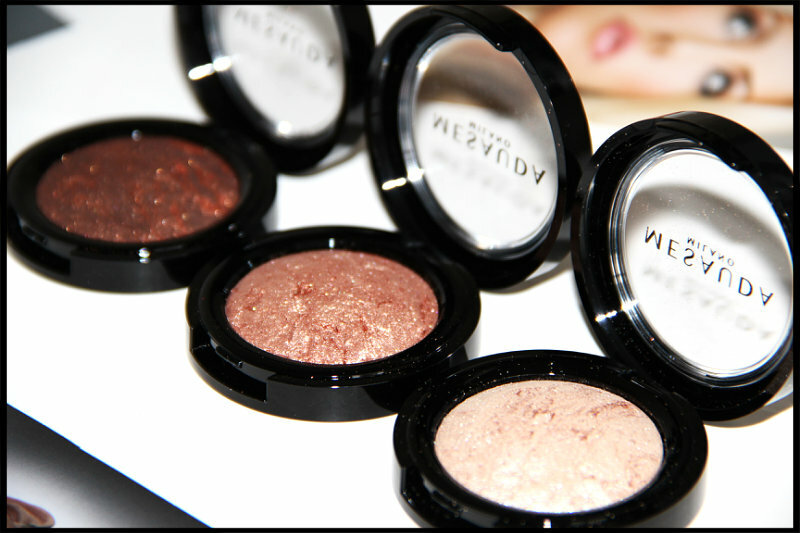 The quality of the eyeshadows is lovely, they are soft and buttery but some do struggle to last. 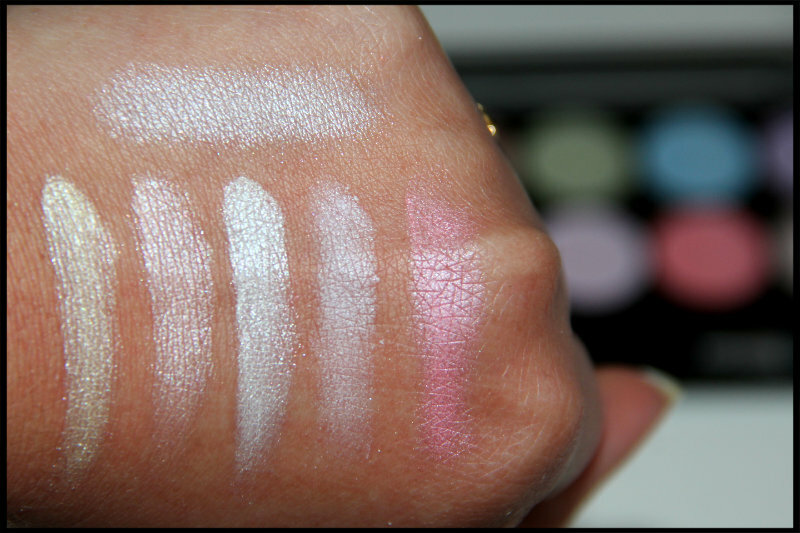 In swatch you can see some of the colours look pretty similar so when you are using 2-3 colours together to create look you have to be careful while blending them. 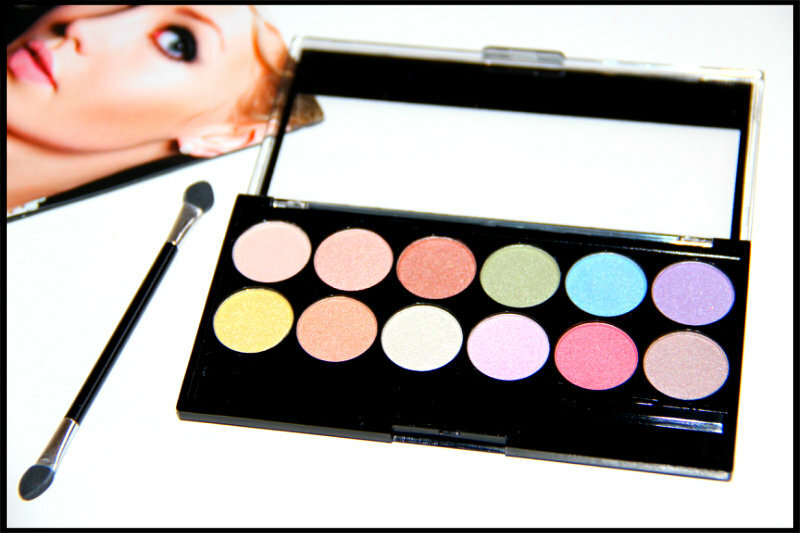 Have you tried MUA Pretty Pastels Eyeshadow Palette or any of other MUA Palettes? Which one is your favourite? You can buy MUA products from their website, here. Today I am again going to review one more product of MUA. 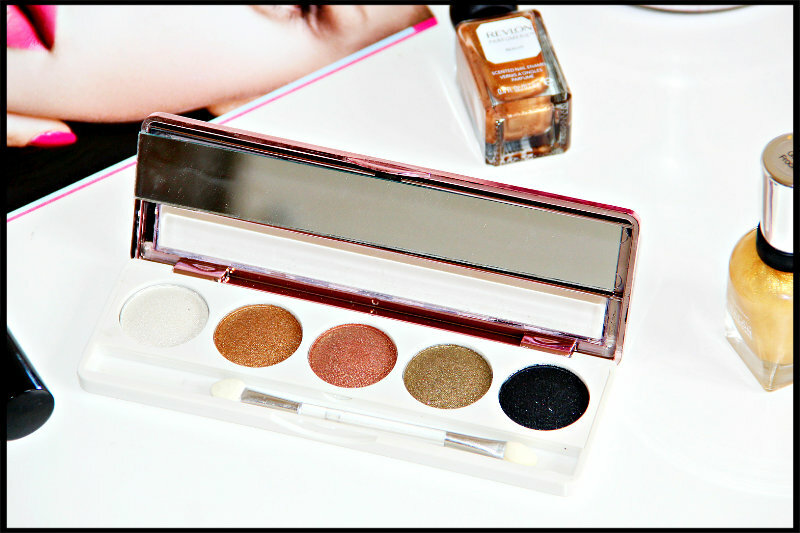 In my previous post I have reviewed MUA Romantic Efflorescence Eyeshadow Palette. 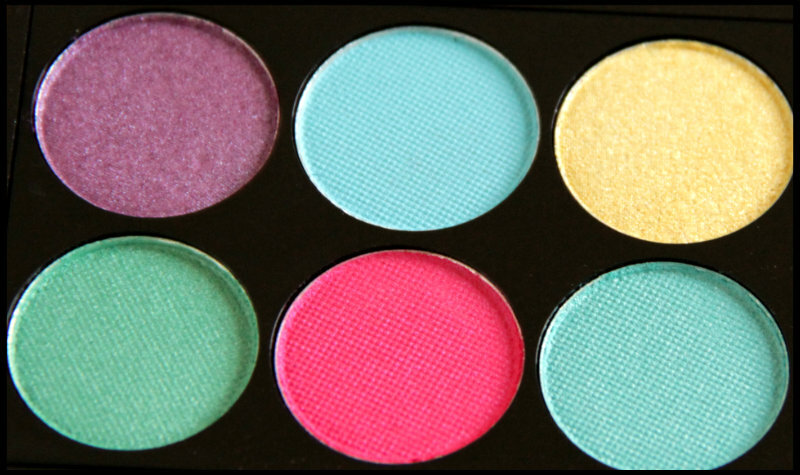 Today I am reviewing MUA Poptastic Eyeshadow Palette, which is very colorful and has got very vibrant shades that can be showstopper for any outfit. This palette is full of blues, pinks, yellow and orange. I love blue toned shades so much. It comes in firm black plastic palette with clear lid so you can see colors from top and don’t have to open and go thru all the palettes when you are searching for particular colors., The size of this palette is nice and it is perfect to put it into your makeup bag or purse when you go somewhere. It also comes with double ended sponge applicator which I don’t use. 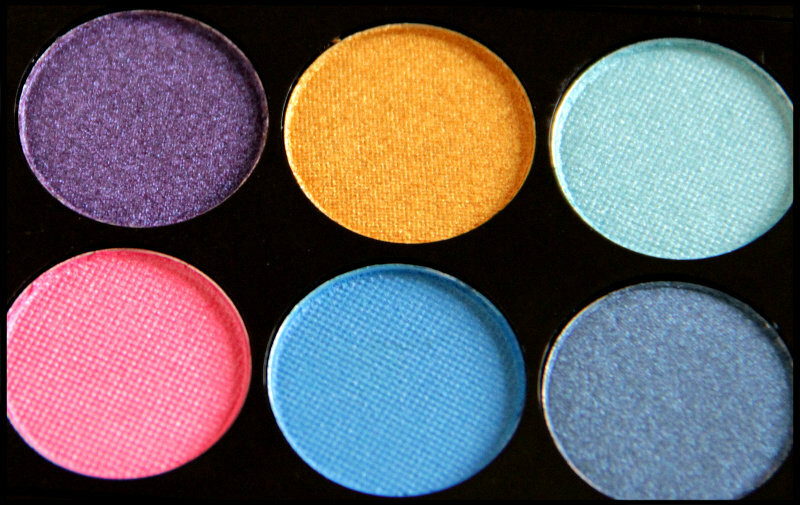 This palette is full of bright rich shades with a few duochromes as well as creamy semi mattes. You can wear this vibrant colors during evening and night parties. All of the eyeshadow have buttery soft and smooth texture and have shimmer in them which is evenly transferred to the eyelids. 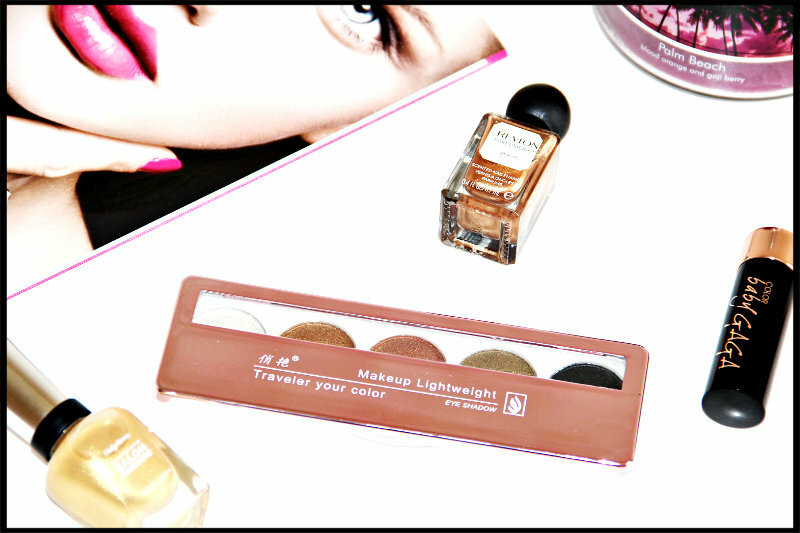 You can create glamorous looks with this palette by mixing lots of them together. 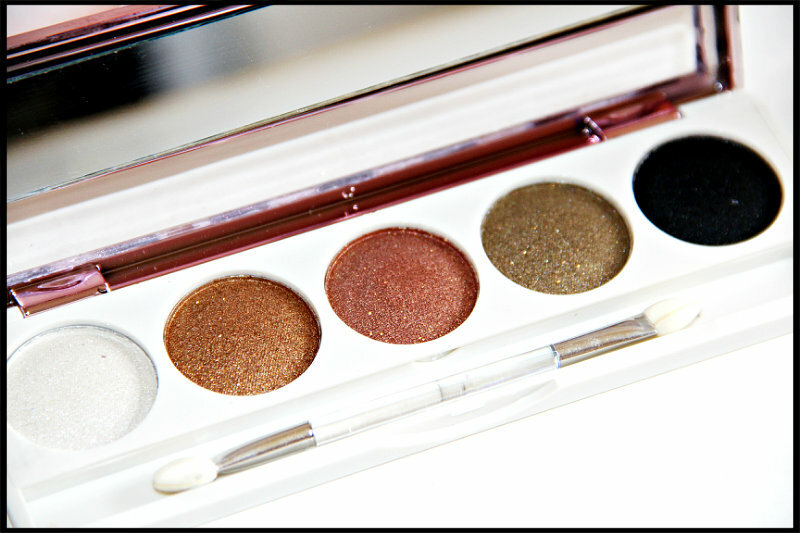 All the shades are well pigmented and stays all day long when used with a primer underneath. There is minimal fallout during application. I find the bottom row of colours brighter and more appealing, especially the green and blue combination. Even on top row I love the purple tone so much. I think the dark pink shade will be perfect for this Valentines Day, you can apply it on centre of lid or lips to add glam. 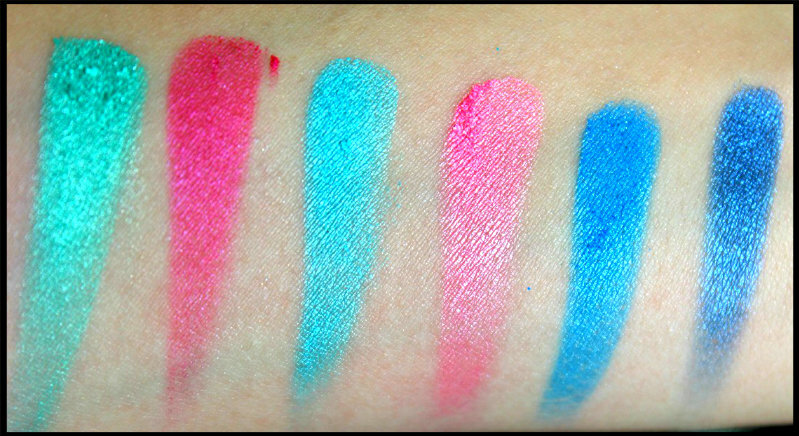 I have swatched all the shades and you can see they are all very well pigmented. The golden-yellow you can also use as highlighter. 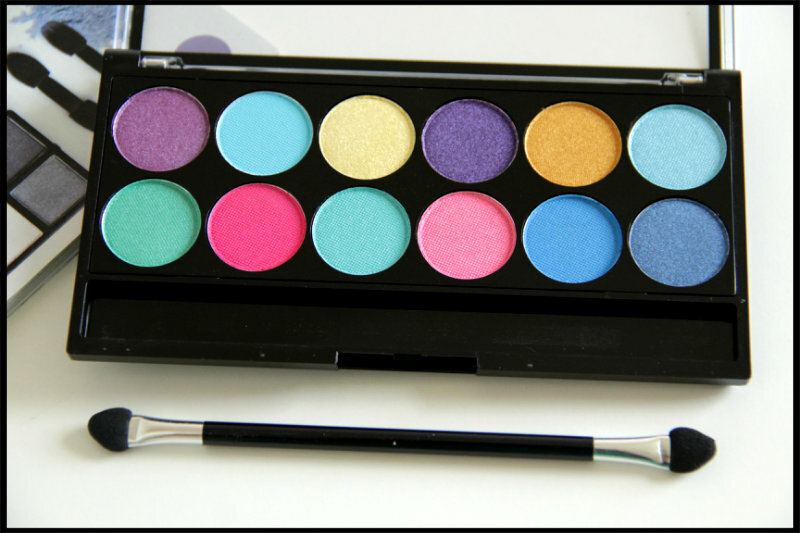 If you love vibrant shades or want to play with blue toned shades then u should definitely get this one. 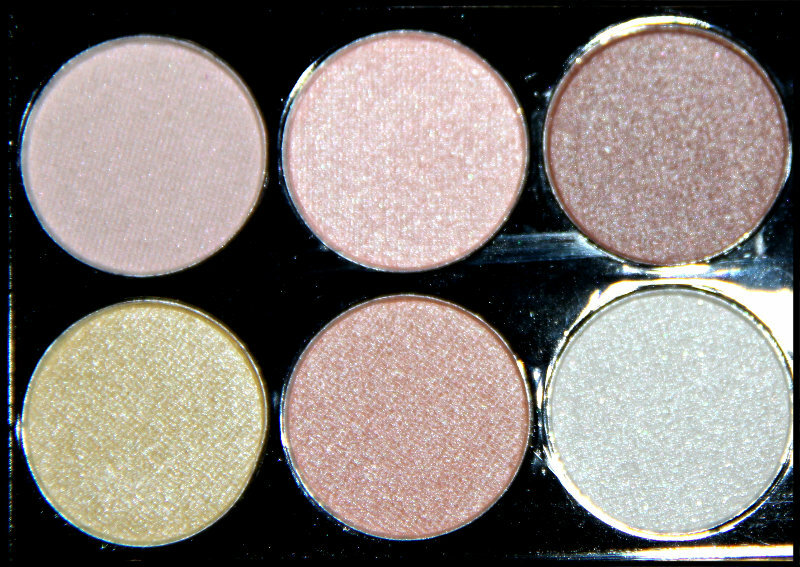 All the eyeshadow colours are strong, last long, have a nice sparkle and give a soft shimmery finish. 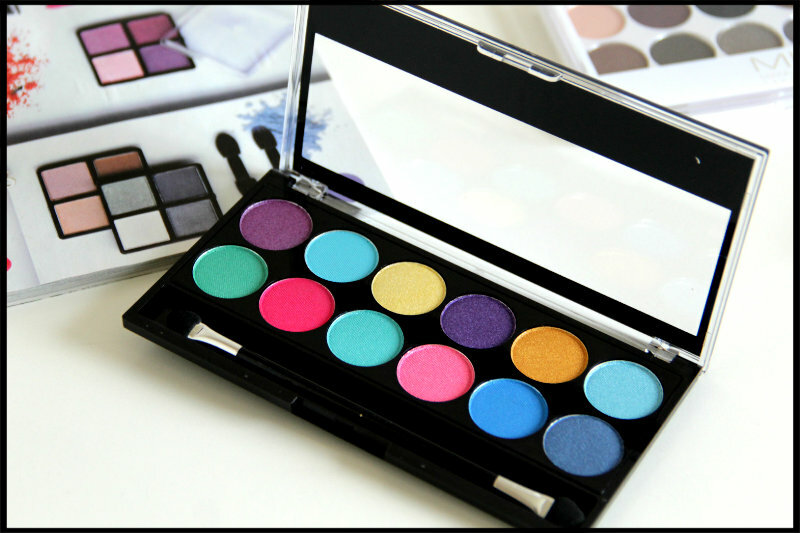 Have you tried MUA Poptastic Eyeshadow Palette or any of other MUA Palettes? Which one is your favourite? You can buy MUA products from their website, here. 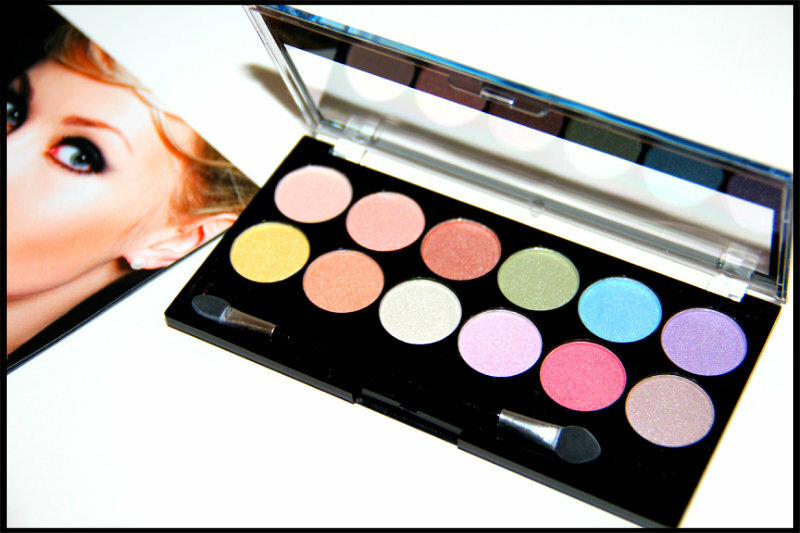 Still I have 4 MUA Palettes remaining to review in coming days so keep watching.